Trek Marlin 7 Mountain Bike Hire. We drop-off and collect to many locations across the Central Coast, NSW. Or, meet us at the trails. We are conveniently located near to amazing mountain bike destinations including Kincumba Mountain (located right behind Terrigal & Avoca beaches), Bouddi National Park (located right behind Kilcare beach), Brisbane Water National Park (located behind Pearl Beach) and the NSW Central Coast's own purpose built mountain bike park in the Ourimbah State Forest! 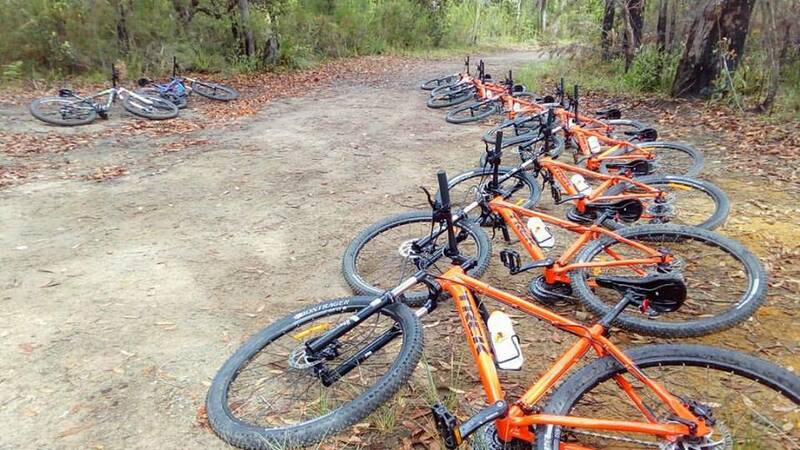 The best bike hire on the NSW Central Coast! Only $50 per day! Book instantly online for the day you want to ride. Hire price includes helmet. Cycling water bottles available for $15 purchase.